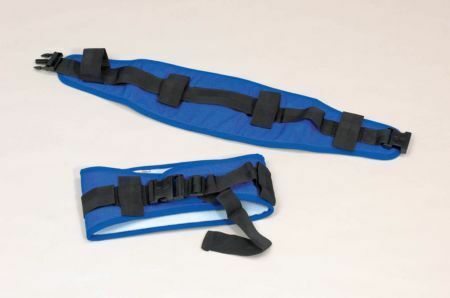 Moving And Handling Belt With Soft Fleece Lining. 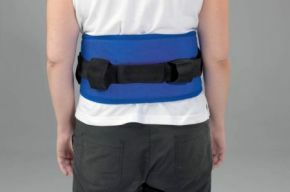 These Moving and handling belts are extremely comfortable and very sturdy. They are lined with a soft fleece material for comfort and to prevent them from slipping. Ideal to aid with sit to stand transfer, with transferring a client from once place to another and can be used in conjunction with glide sheets to help move a client into a sitting position. They feature four vertical handholds and three lateral handholds, allowing one or two carers, using approved manual handling techniques, to assist the client. The handling belts are designed to provide secure handholds and control during patient transfer and not to bear the full client weight.